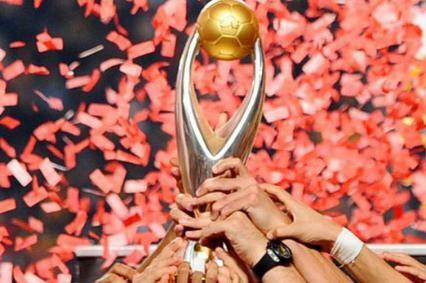 Al Ahly v Esperance 1st leg (4nd November 2012, 1700 BST): Borg El Arab Stadium, Alexandria 2nd leg(17th November 2012, 1730 BST): Stade de Olympique de Rades, Rades Al Ahly (probable, 4-2-3-1): Ekramy; Fathy, Gomaa, Naguib, Shedid; Ghaly, Ashour; Barakat, Aboutrika, Soliman; Gedo. Esperance (probable, 4-3-3): Ben Cherifia; Derbali, Hicheri, Ben Mansour, Chammam; Mouelhi, Ragued, Aouadhi; Afful, Msakni, N’Djeng. A match between two continental heavyweights primed for battle; a villanously efficient side, the continent's finest, against a side who tread a fine line between being a streetwise winner and a streetwise bottler. A match that promises to provide the perfect synthesis of coarse determination and sparkling flair, showcasing the qualities that are synonymous with the vogue Maghrebian sides off the last 30 years. The qualities that mended many hearts when Tunisia won the Cup of Nations in 2004 on home soil; in a splendid side that contained North Korean military organisation and a sprinkling of stardust in the form of Slim Ben Achour (remember him? No? Shame on you.). Then those qualities thoroughly entertained purists and pragmatics when the all-conquering Al Ahly and Egypt national sides buckled their swash in the 2000s. This is match that - for the real football connoisseurs rather than pretenders like humble old me - promises to be a 'fascinating tactical battle’. After an excellent year 2011 during which they lifted an unprecedented treble, Esperance, after completing the Tunisian League and Cup double, are on the verge of retaining their treble. The Tunisians have provided a constant stream of performances throughout the tournament which have vindicated their status as the bona fide contenders. Masterminded by the avuncular club legend Nabil Maaloul, the Blood and Gold have only lost 1 game in their last 22 on the continental stratosphere, and the mitigating circumstance for that defeat is that it came in a final group game dead rubber against Algerian side ASO Chlef. That astonishing facts do not lie: Esperance are the most well-structured balance in Africa. In the semi-final, they drew 0-0 with TP Mazembe in the first leg on a scorching Saturday afternoon in Lubumbashi – the African equivalent of a cold, rainy Wednesday night in Stoke on the hostile-o-meter – executing a staggering defensive performance that dripped with a fusion of kamikaze and logical defending. Yet, still, for some Esperance iconoclasts that was not enough; the Tunisians were living precariously after failure to get an away goal, and the football purists were up in arms with the Tunisians rearguard action. A Mohamed Ben Mansour headed winner in the second leg sealed the their path to the final, and the they showed commendable solidity as they tried to keep out the Congolese giants from scoring a dreaded away goal. If Esperance’s champions league history has a whiff of what-could-have-been (before last year’s triumph, the second time they had won it, they had lost 3 CL finals), then Al Ahly, the record six-time winners, have the sense of entitlement that is associated with the aristocrat elite thanks to their grandiose record in the competition. Certainly, whilst Egyptian football seems to have reached a nadir at international level, the demise of Al Ahly has been vastly exaggerated. The Old Guard – particularly Ahmed Fathy Mohamed Barakat, Wael Gomaa and Mohamed Aboutrika – have showed they are not ready to embrace their dotage quite yet. In fact, it seems the Old Guard have been on a relentless mission to implant joie de vivre into the hearts and minds of the Egyptian people after a tumultuous recent history. Al Ahly have had to play all of their matches at home behind closed doors due to the Port Said tragery, but 20,000 fans will be allowed in to see the 1st leg in Alexandria. Aboutrika was suspended by the club for two months after refusing to play in the Egyptian Super Cup against Enppi in October and consequently missed both legs of the semi-final against Sunshine Stars. Yet the issue of Aboutrika has almost been forgotten as Gedo, the 2010 Cup of Nation top scorer, has shouldered the Aboutrika burden admirably, scoring 3 of the Red Devil’s 4 goals in the semi final. Although there is an open-all-hours policy in defence, as symbolised by their 3-3 first leg semi-final draw against Nigerian minnows Sunshine Stars, the Hossam Al Badry-led side still remain as filthy as a slum dweller’s handkerchief when they are on the offense. The triumvirate behind the striker – consisting of Barakat, Aboutrika and the effervescent Walid Soliman during the earlier rounds – have superb technique and understanding and are capable of moving the ball computer-quick in attacking moves with devastating synchronisation. The Bond villain-esque towering centre-half Walid Hicheri was the protagonist in providing the evidence that defending isn’t a beauty competition in Lubumbashi, pummelling every ball away with such brutality, particularly with his head, in what was surely one of Africa’s finest defensive performances in recent years. It was a microcosm to his performances throughout the competition. If there is a wily enough striker in Africa to penetrate through the impermeable Hicheri, or his partner Ben Mansour, then it has to be Gedo. The striker has the experience and the big-game fusion of sang-froid and cojones to pose the duo, who are not so comfortable on the ground, problems that they haven’t faced yet. Esperance will be without talisman Msakni for the first leg as he underwent surgery after suffering from appendicitis. Blessed with immaculate control – hence being dubbed ‘Messi-akni’- the svelte attacking midfielder is the edge-on-of-your-seat crowd pleaser that always seems nanoseconds away from scoring an incredible solo goal. If Esperance are crowned the African champions then the award to the best player based in Africa will undoubtedly go to Msakni next month. A CL gong and that aforemetioned award woud be an apt way to go into the sunset for a player who joins Qatari champions Lekhwiya in January. Aboutrika, meanwhile, is back in the fray after being banned by his own club. The 33-year-old, who has scored 6 goals in this season’s competition, still remains a key cog in the Al Ahly machine and possesses the creative intelligence to ask questions to the Esperance backline that few have had the skill set to. Both these players are essential in setting the tempo and play-breaking for their respective sides. Mouelhi is a classic regista, a delight to watch in his usage of the ball and spatial awareness – think Paul Scholes with a shisha pipe and blessed with tackling etiquette. Ghaly’s all-round midfield play is vital for the structural balance of Al Ahly. In a team that is defensively porous, he will be pivotal in play-breaking and feeding neat balls to the attacking players, particularly when the chance to counter-attack arises.